When I can’t sleep at night I have some go to things I think about to help me get drowsy. The main one is imagining what I’d do if I won various sums of money in the lotto, and the other is mentally designing and then decorating my dream house room by room. I always start with the bedroom, and I think I fall asleep before I’m even done with the master bath. But now that I’m sick in the head about babyness, I’ve started putting myself to sleep designing nurseries! I’ve been getting into detail about how I will make the room grow with him (yes him, because we r having a boy first of course…Owen, or Carter perhaps lol) and never feel too masculine or too soft. Anyway this morning I started thinking about it again so I came online to feed my nursery frenzy. 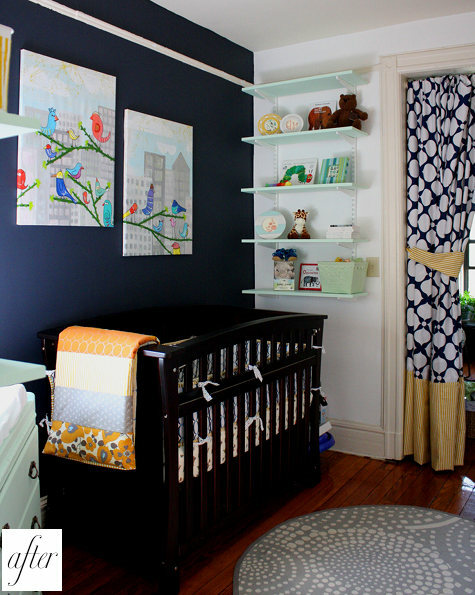 Take a look at these gorgeous nurseries! Considering I’ve lived in my apartment since the beginning of last year and have yet to decorate or beautify the place, I doubt I’ll do anything as gorgeous as these, but it’s definitely fun to look at and daydream about! lol….all that designing looks like fun! 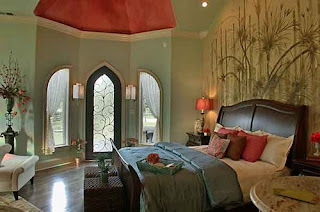 I love the first master bedroom-there is just something about bay windows that I LOVE! 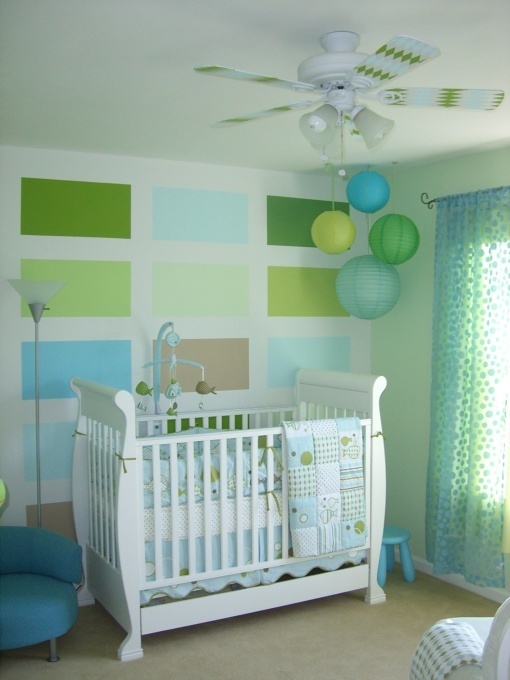 And for the nurseries, I like the second one with the mixtures of pink and blue. When I got pregnant for the first time (eeek…26 years ago) I wanted a boy first too. Well, I got the boy followed by five girls!! 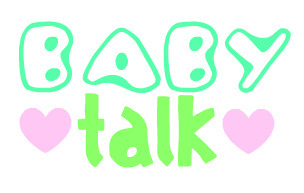 I just love babies! When I was growing up, I always wanted to be a pediatrician, but I became a teacher instead. You're a born nurturer Lynn. PS those are my faves from the bunch I posted too! Damn 1 boy and 5 girls! You're a trooper! 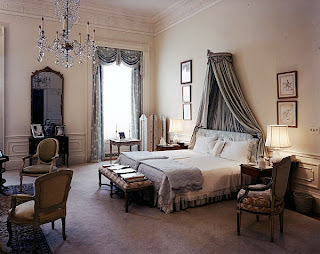 I love the first Master Suite and the blue and brown nursery…the bay windows sold me as well!!! 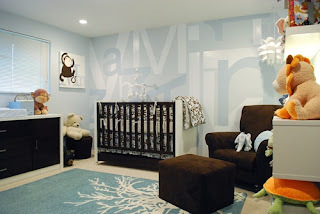 What a great idea for trying to fall asleep…I love that second nursery, the clouds on the ceiling are adorable! You're too cute. That 2nd master bedroom – I die. I like the 3rd nursery best. Guess I have a thing for blue walls & white trim, huh? LOL Also – cuz it looks the easiest to keep clean. HAH! I love the nursery. I am going to aim at that kind of house! I'm a sucker for interior design, so can I choose all?? I love having something customized; wood letters, pilllows, wall art, etc.. ahh the possibilities are endless. You have plenty of time, but it's good you have an idea of what you want. Love the first pic on the master bath! Love the third pic on the nursery!